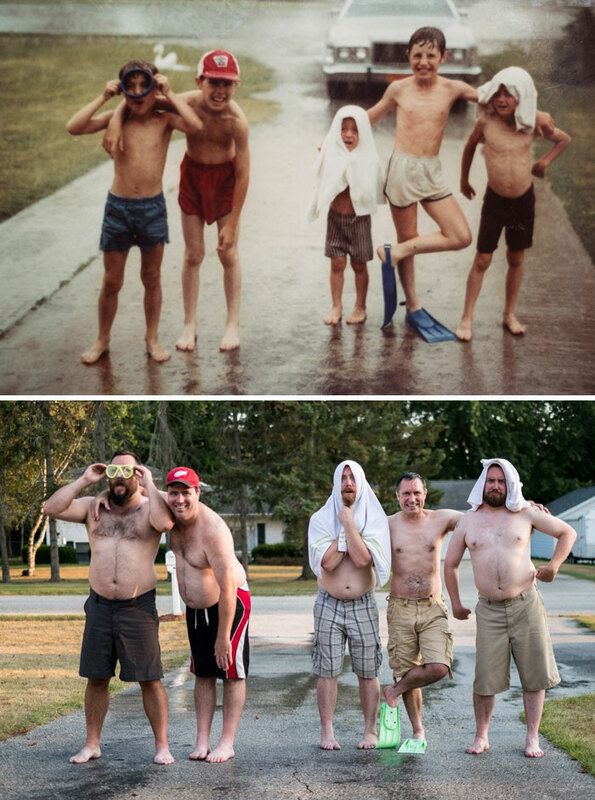 10 Family Photo Recreations That Are Very Funny! 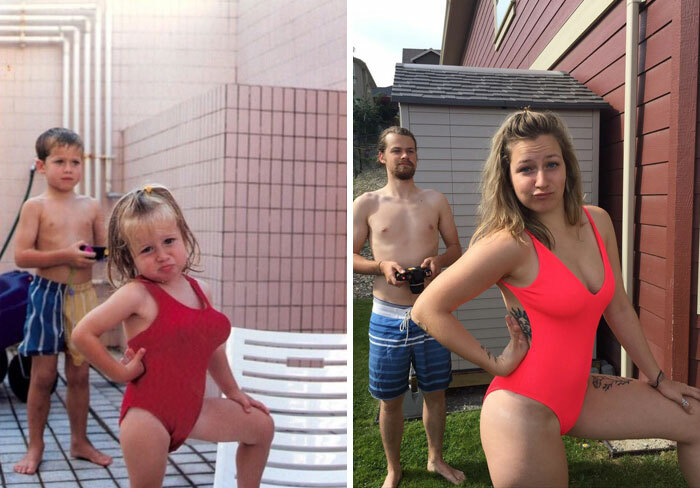 Photo recreations can be top notch sometimes. The fact that people literally create a moment from the past in the present is applause worthy. These 10 pictures are no less! You are gonna love them as they are gonna tickle your correct bone. Take a look! Sometimes it is uncanny how a parent and a child resembles each other. This photo is the proof! 19 long years and the result is so cute! 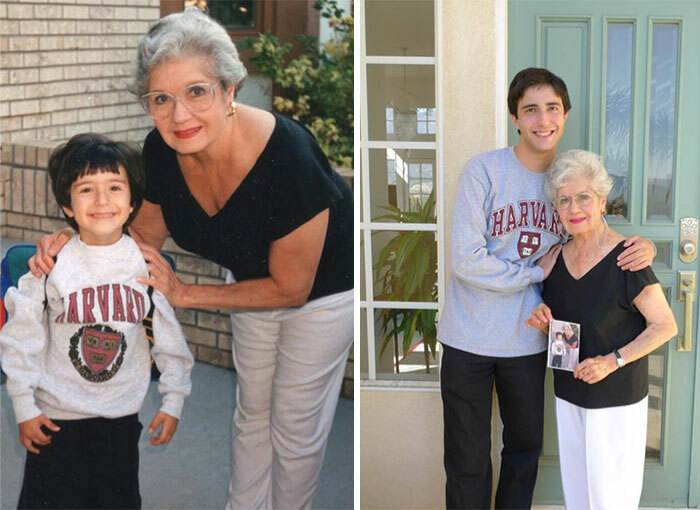 The first picture was taken at the kid’s Pre-K with his grandmother, while the one on the right is a picture which was taken 19 years later, at his graduation. Wow! 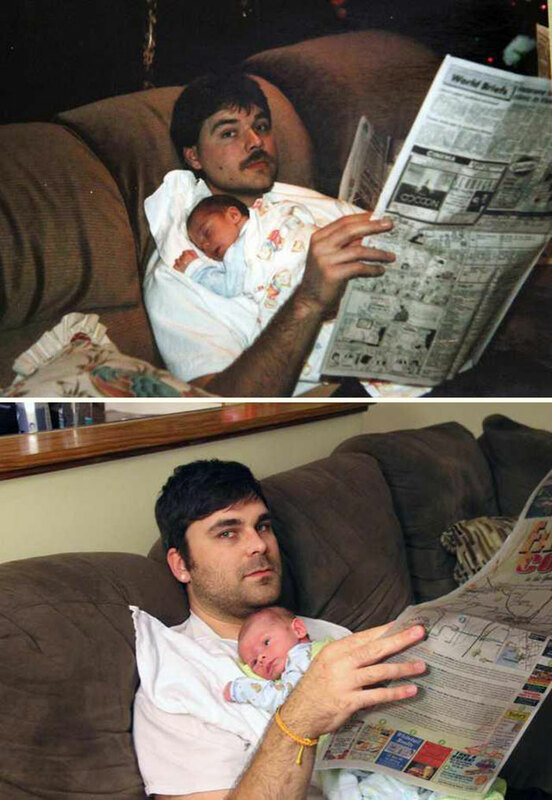 These pictures are twenty years apart. Both these people have grown up to be such great looking people! 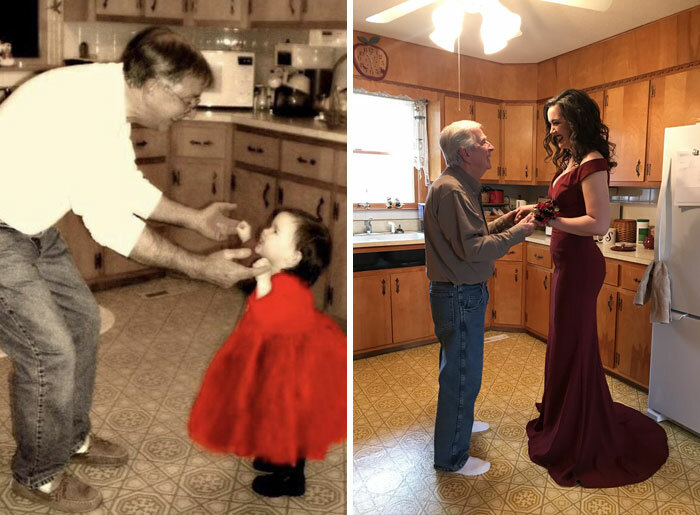 The father-daughter relationship is one of the most beautiful relationships and these pictures display the affection wonderfully well. We love this one! 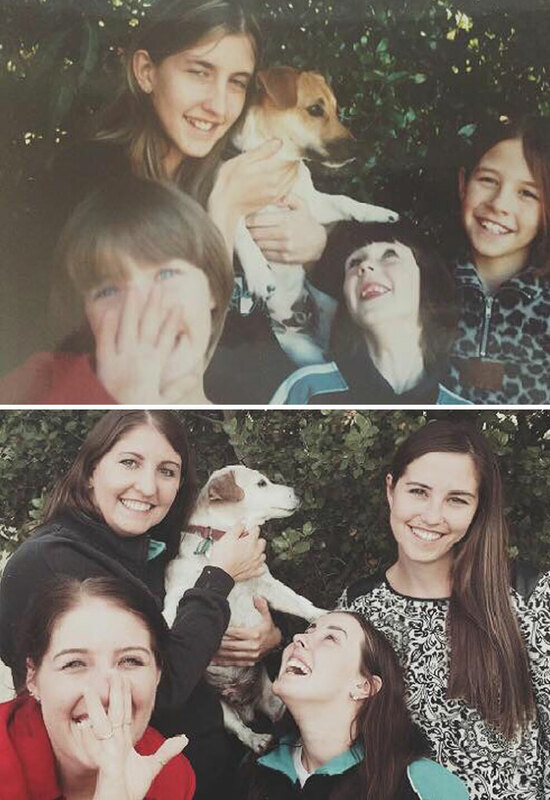 No matter how fast the time flies away, some things would never change and this bond is one of them! 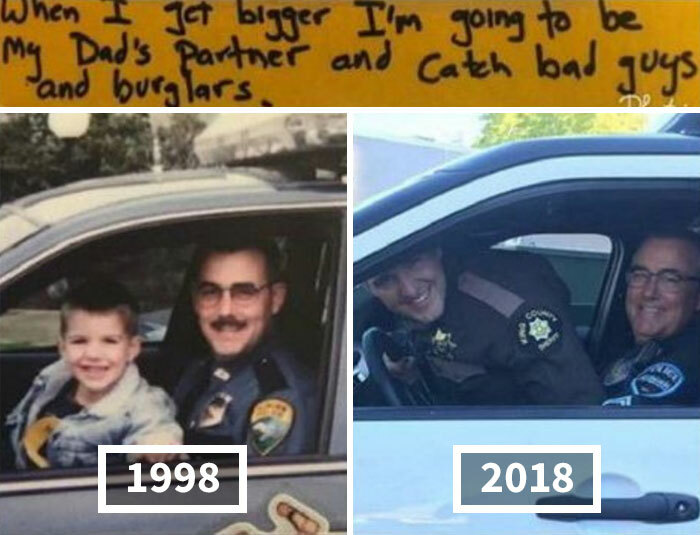 This picture is a proof that the love never fades and that child always follows the footsteps of a parent! Are we emotional or are we emotional? 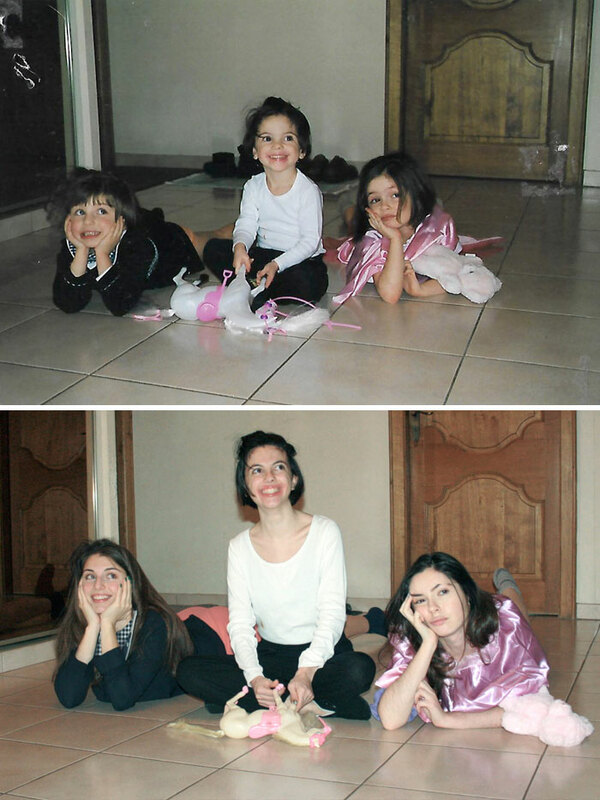 16 years and things yet look as cute as they were 16 years ago! When we are born and bought into this world, we meet a lot of people. Some stay while others leave! We are glad all of these people stayed together! 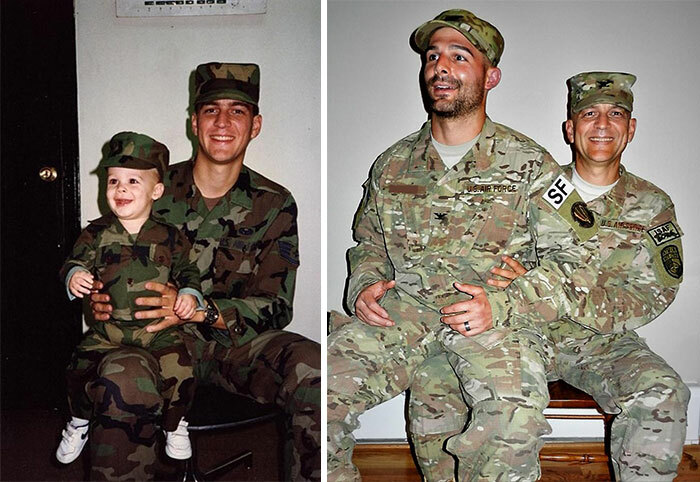 This picture was recreated, right before his dad’s retirement. Do we need to say anything more? LOVELY! You know what they say about pretty girls? The say pretty girls never grow old!